QD Stores in Gorleston-on-Sea near Great Yarmouth sells a superb range of items for the home and garden and also clothing and seasonal goods. Stop off for a refreshments in the front of store cafe. From Great Yarmouth follow signs for Gorleston-on-Sea. 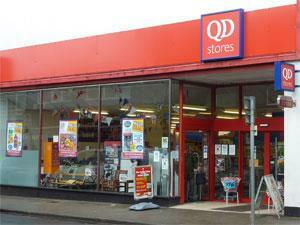 QD Stores is located towards the end of the main High Street, just prior to the traffic lights/crossroads.